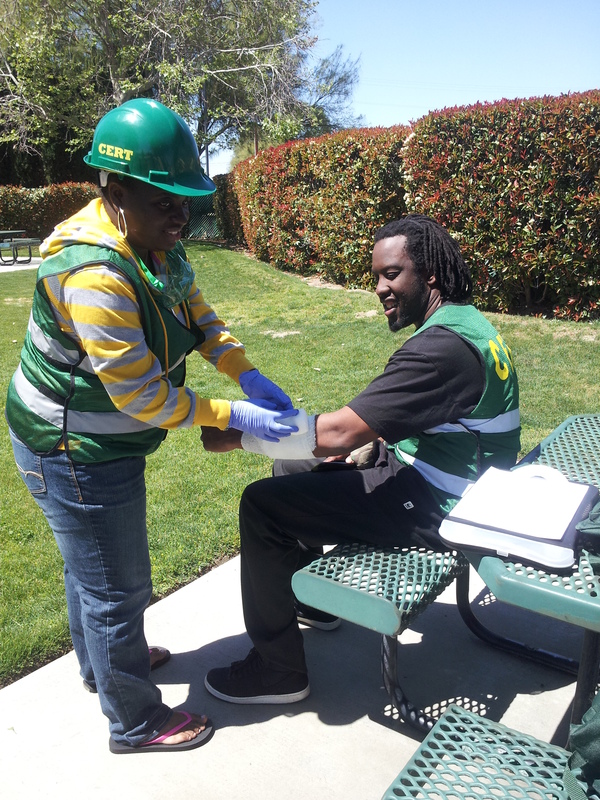 CERT participant Towanda Birmingham-Adams practices light medical care on Corey Nobles. 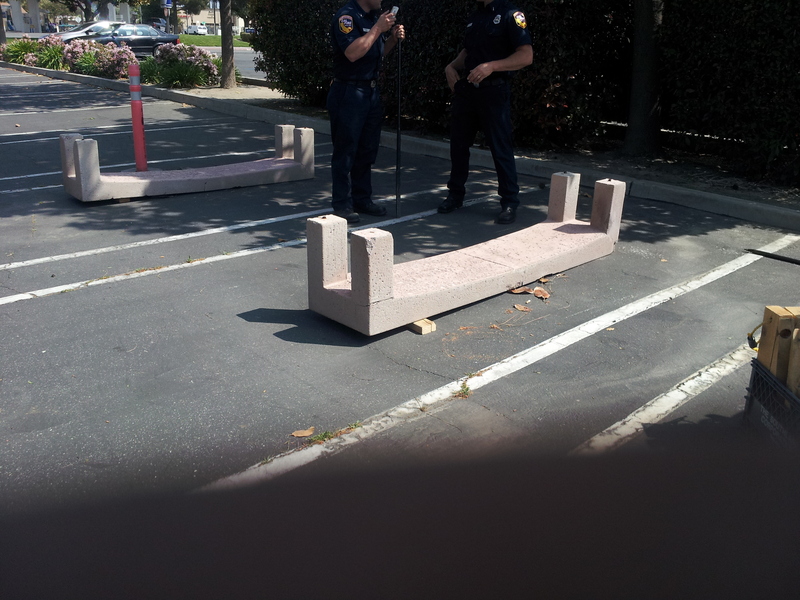 The first weekend in April the San Jacinto Community Center experienced multiple small fires, multiple people experiencing multiple injuries and two large pieces of concrete that had to be cribbed to be moved. Luckily, this was all a part of the latest Community Emergency Response Team (CERT) training in Riverside County. The 20 hours of CERT training over Friday, Saturday and Sunday was sponsored by the City of San Jacinto and CALFIRE/Riverside County Fire. Over the weekend participants received a backpack filled with tools that they learned how to use in emergency situations when traditional first-responders might be hours or days away. Participants learned that, “That there are things that we can accomplish in an emergency situation before calling the authorities that can save lives and time”, says Corey Nobles. 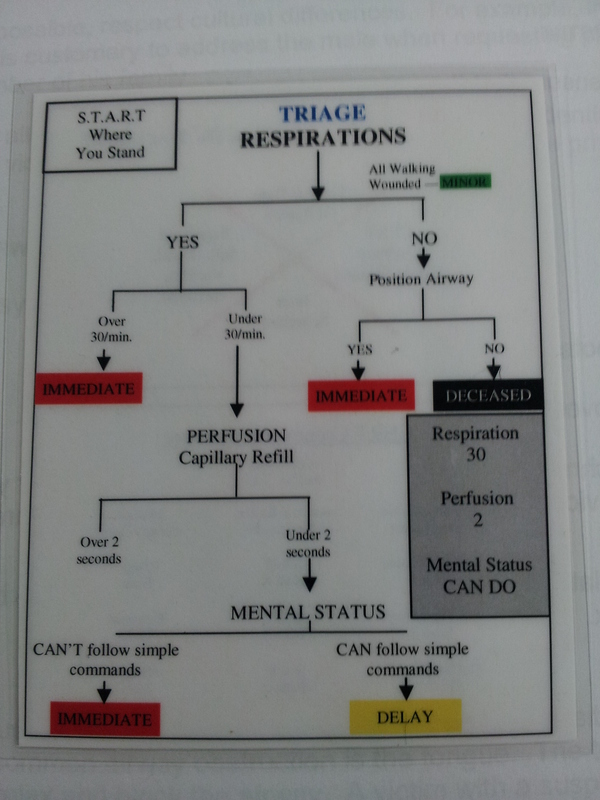 Several modules including search and rescue, triage, light first-aid and terrorism were covered. Participants were given multiple opportunities to try out their new skills before the simulation. CERT participant Towanda Birmingham-Adams learned, “Preparedness starts at home. I cannot help anyone else if I cannot help myself”. 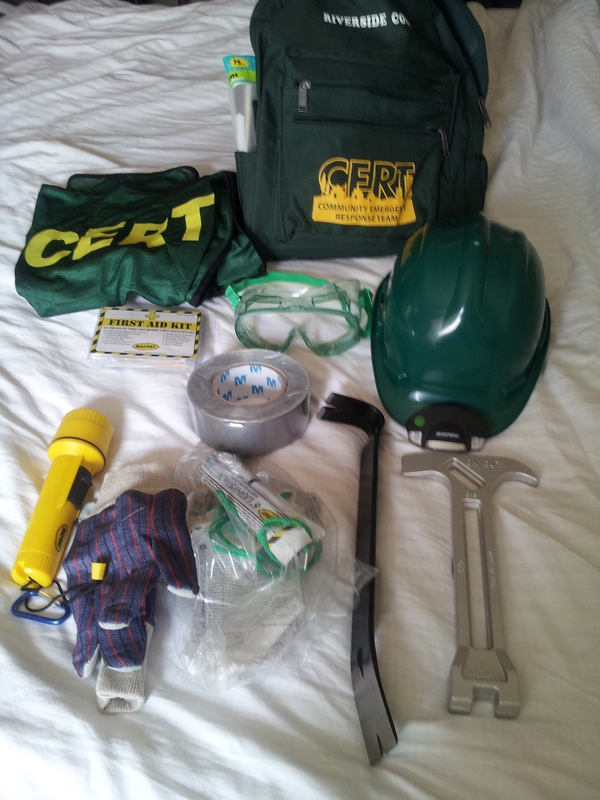 The materials provided free at the CERT Training. On day three, participants were given a fake situation and were expected to use their new skills to get the situation under control. Everything seems easy until you enter a dark room filled with smoke, loud music playing and people moaning in pain and screaming out to you to help them. The participants were able to assess the outside damage to the building, put out the small fires, turn off the gas line to the building, triage all of the victims in multiple rooms in the building, carry out multiple live victims and apply light medical attention. These skills might not seem necessary for the average family, but Birmingham-Adams thinks they are very relevant, “Many blacks live in large urban areas that could have a large need for help in a large-scale emergency. Unfortunately still in the case of an emergency our neighborhoods usually are the last ones to get help. 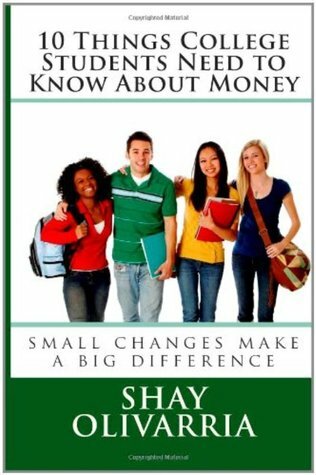 Therefore, we need to be able to help each other and not worry about others trying to help us.” Nobles agrees, “Black people should know more about this stuff because no one is going to care more about the black community than its residents”. CERT teaches light cribbing techniques. The goal of CERT training is to learn to help yourself, your family and your neighbors. “Katrina though should be a prime example to blacks that, we must be able to help ourselves instead of depending on others” says Birmingham-Adams. To find out about CERT in your area visit http://www.citizencorps.gov/cc/CertIndex.do?submitByState. Anyone may attend the San Jacinto CERT training course. The next course will be offered in October.